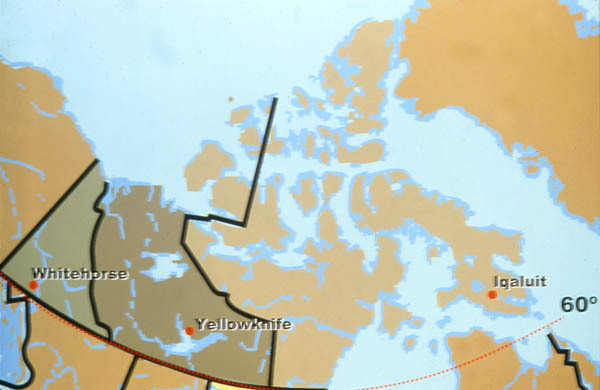 The Canadian Arctic, comprised of the Yukon, Northwest Territories, and Nunavut is seven times larger than France. It is still a wild and empty land. The population is about 60,000: approximately one person to every 43 square km.